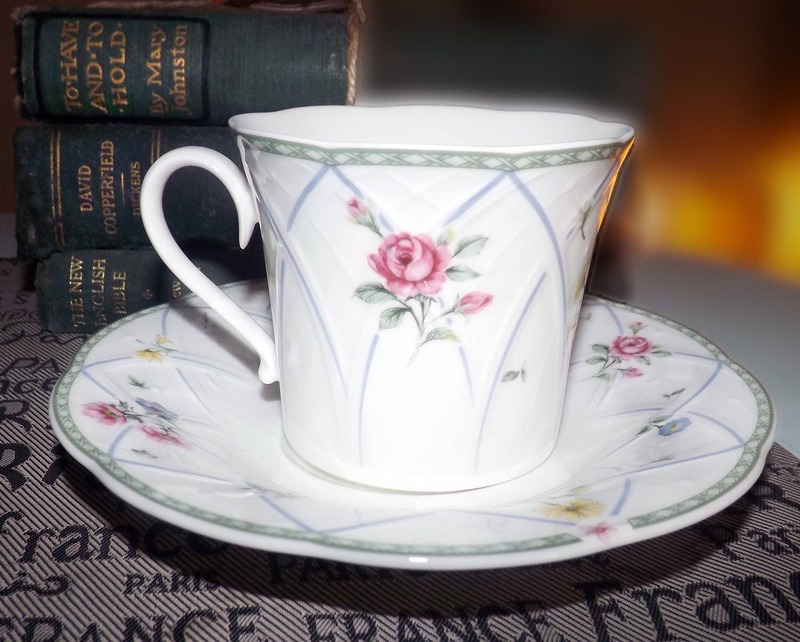 Vintage (1999) Mikasa Spring Prose A8010 tea set (flat cup with saucer). Pink, purple flowers, green lattice edge, embossed details. 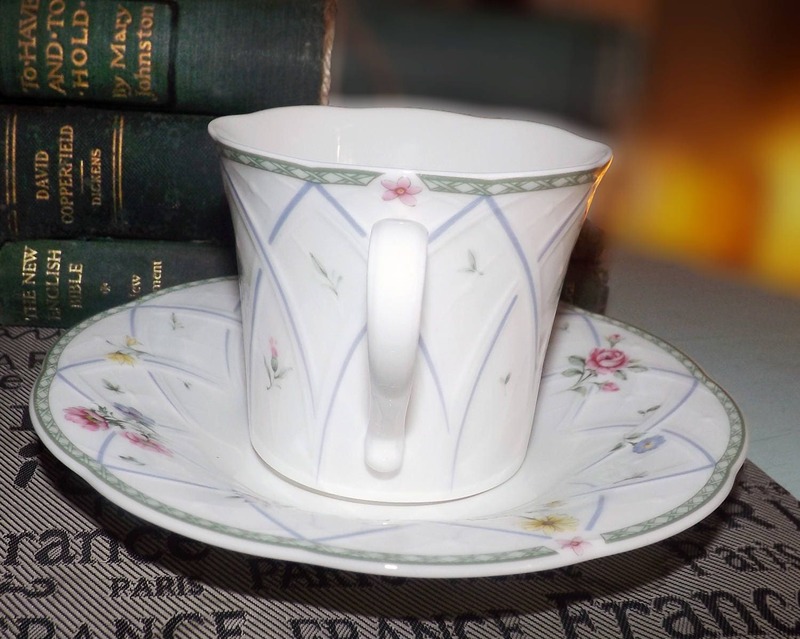 Vintage (1999) Mikasa Spring Prose A8010 pattern tea set (flat cup with matching saucer). 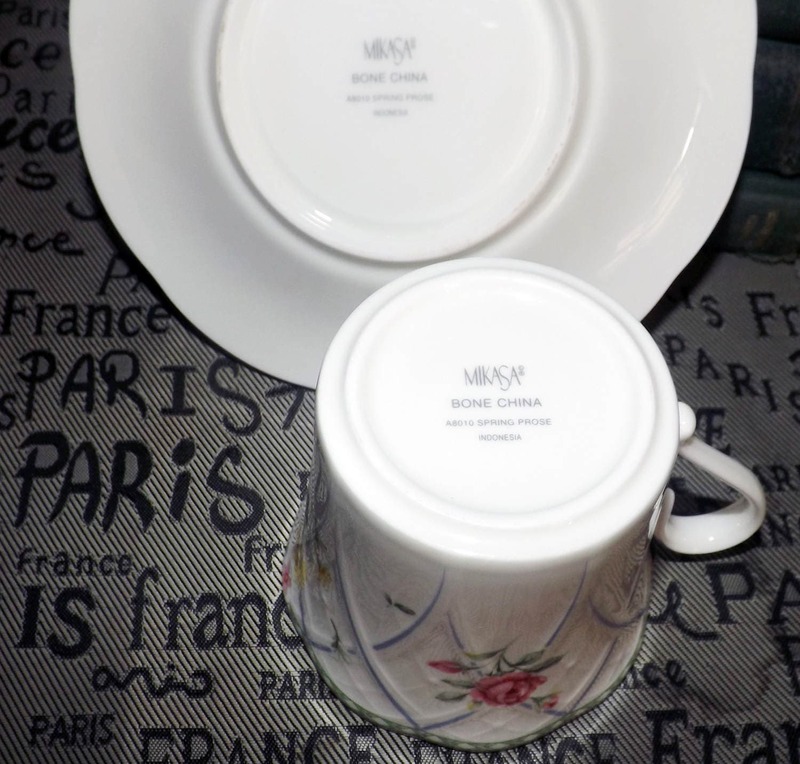 Spring Prose is a very hard-to-find Mikasa pattern as it had a very brief production life. Spring Prose is a beautiful springtime floral pattern with pink and purple flowers, embossed purple swirls and a green lattice band about the perimeter set against a ground of pure white. The pieces have embossed details. Instant thoughts of a garden party! In EXCELLENT! condition with NO! chips, nicks, cracks, or fleabites, NO! crazing and NO! marks, stains, scratches or other signs of use or wear. The florals are bright and vibrant with NO! noted fading. 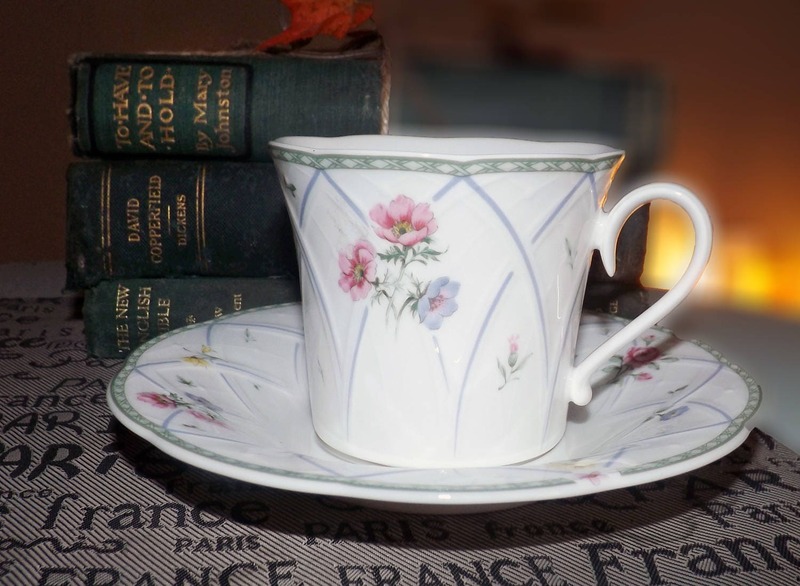 Approximate measurements: flat tea cup stands 3" with a 3-1/4" scalloped bowl in the dainty shape. The matching saucer is 6-1/4" in diameter. Both pieces have a scalloped, enameled edge. THIS LISTING IS FOR ONE (1) CUP AND ONE (1) MATCHING SAUCER. 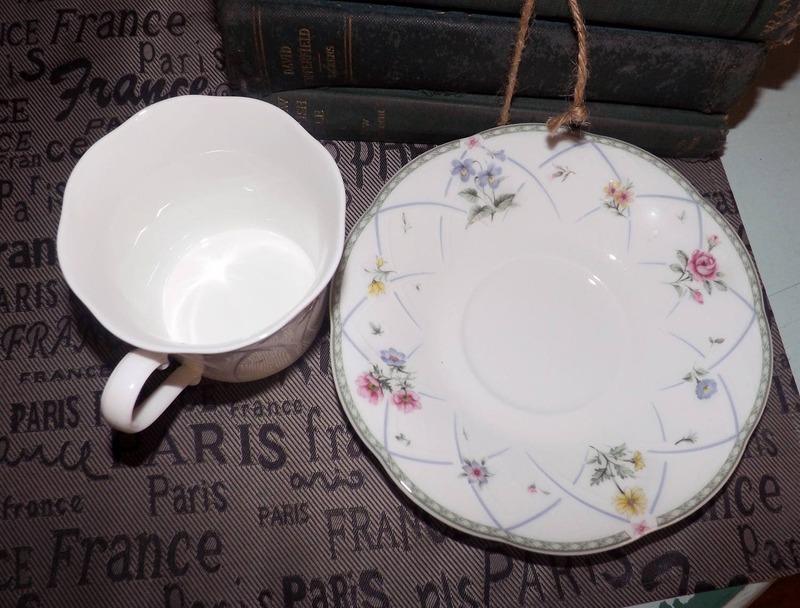 Currently, more than one cup and saucer is available in the shop.